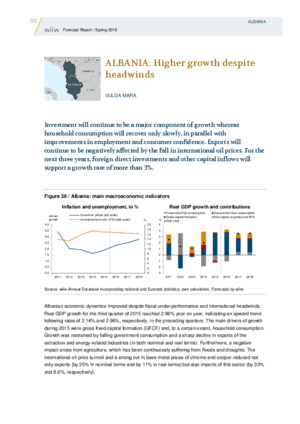 Investment will continue to be a major component of growth whereas household consumption will recover only slowly, in parallel with improvements in employment and consumer confidence. Exports will continue to be negatively affected by the fall in international oil prices. For the next three years, foreign direct investments and other capital inflows will support a growth rate of more than 3%.